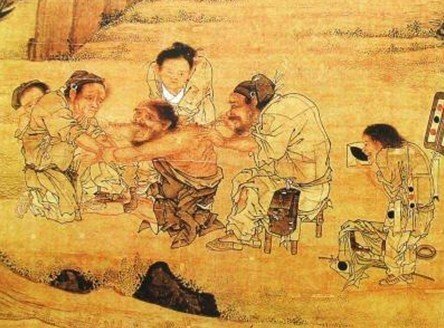 Ancient Chinese were innovative and determinant. They ameliorated daily necessity, by creating and innovating some of the prestigious things in the human history. Ancient Chinese inventions were dated back from the Paleolithic period. They were always ahead of the world for creating valuable things. 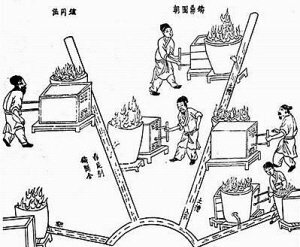 Chinese have bestowed the four greatest inventions in the world – compass, gunpowder, papermaking, and printing, which is celebrated as the four greatest Chinese invention even till today in the Chinese culture. There are lots of other inventions of Chinese that are marvelous. Here is the list of Top 18 (including 2 medieval period) inventions by Chinese that own numerous accolade. Humans had used different material like wood, stone, bone for writing. Around 2,200 BC Egyptian discovered a type of reed, which could be used for writing by overlapping thin strips that had to be soaked in the water for a long time. The Egyptian called the Reed “Papyrus”. The Paper was derived from the word Papyrus, which was invented in ancient China around 105 A.D during the reign of Han Emperor Ho-DI. The inventor of paper was Ts’ai Lun (or Chai Lun), an official of the Imperial Court. However, recent archeological survey indicates that the paper was already invented 200 years earlier, and was used by the ancient Chinese military. Ts’ai Lun used the bark of mulberry tree in fiber and pounded them into a sheet. Later, he discovered that the quality of the paper could be improved by adding rags hemp and old fish nets to the pulp. Soon, paper became the new mode of writing. Over the few years of the invention of the paper, it was widely in use all over the China. Later, the paper was carried out throughout the world via the Silk Road. The invention of silk was dated back to the 4th millennium BCE during the Neolithic period. Apart from clothing, Silk was widely used in a variety of sectors including writing, fishing, and musical instruments. Silk was dominantly used by emperors and high-class society. Later, it became a part of Chinese society. 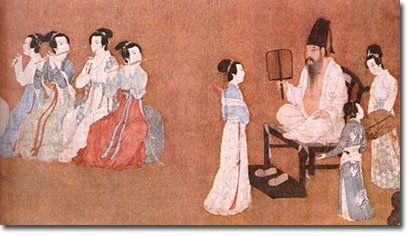 During the Han dynasty, silk became more than a commodity. It was used as a reward for a worthy Chinese citizen or a government official. Silk became the important part of the Chinese economy. Japan and the Middle East starts cultivating silk around 300 CE. The Crusades brought the concept of silk product in Western Europe and export it to rest of the Europe that resulted in an economic boom. Chinese silk started to degrade in value and there was the decrease in export. However, they dominate the luxury silk market till today. Tea was discovered in Ancient China by the Chinese emperor Shennong in 2737 BCE. Shennong liked to drink hot water. One day during his trip, he and his army stopped to rest. His servant prepared a hot boiling water for him. The brown leaf fell down into the water and the color of the water was changed into brown. The servant presents it to the emperor. He drank it and found it refreshing. During the Han Dynasty (206 BCE–220 CE), Tea was used as a medicine. It was used as a beverage drink on social occasions from Tang Dynasty (618–907 CE). 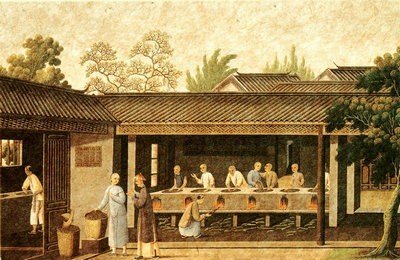 Tea was prepared differently in Ancient china than today’s world. Tea leaves were processed and compressed into cake form. The dried teacake known as brick tea was ground in a stone mortar. The out coming powdered from the teacake was then boiled in a kettle or hot water was added to it. It was then served as a hot beverage. The white tea (compressed tea) was produced during Tang Dynasty. The white tea was harvested in the early spring, where the leaves of the tea were silver needles which were used to make the compressed (white) tea. The Chinese were ahead than the rest of the world to produce silk. They took an advantage of it and built resilient bamboo for the lightweight framework and high tensile strength silk for flying line. 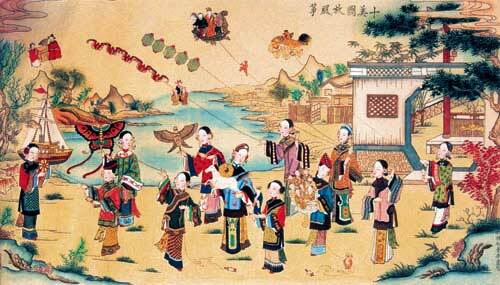 The first kite was appeared in Ancient china in the 5th century BC from the Chinese philosophers Lu Ban and Mozi. By 549 A.D, paper kites were used to carry a message for a rescue mission. During the medieval period, the Chinese used kites for testing the wind, measuring distance, communication for military purpose. Babylonians in the Ancient Mesopotamia invented the single tube drills around 1500 BC. It never reached to Europe or Asia. Chinese farmer generally used hand to plan the seed, which wasn’t effective. Most of the seeds will never germinate because of the lack of a combination of pests and elements. Ancient Chinese find an alternative to this problem. During the reign of Zhou dynasty, they discovered an alternate planting practice that helped to grow crops more rapidly without interfering with each others. However, in the 2nd Century BC, Chinese invented a multi-tube iron seed drills that help them to produce food for larger populations. Porcelain was not the sudden inventions. 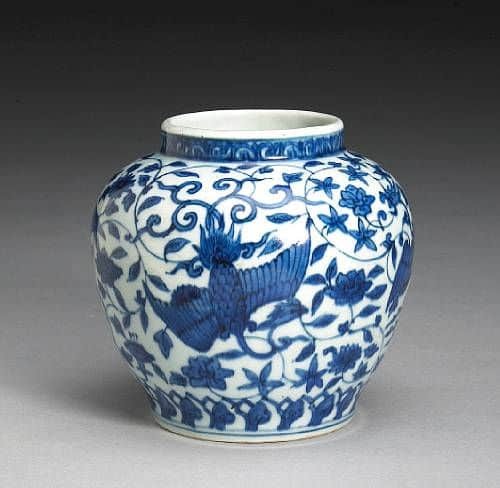 The ancient prototype of porcelain exists dated from the reign of Shang Dynasty (1600 -1046 BC).However, it was perfected during the Tang Dynasty (618–907 AD) and was exported to the Middle East. During the Song Dynasty (960–1279 A.D), the manufacturing of Porcelain was highly organized. It reached its new height. By the time of Ming Dynasty (1368–1644 AD) Porcelains were exported to the Europe, Africa and Asia via the Silk Road. An Archeological survey in 2002 at the Lajia site of the Qijia culture discovered the 4000 years noodle made of grains from millet grass. 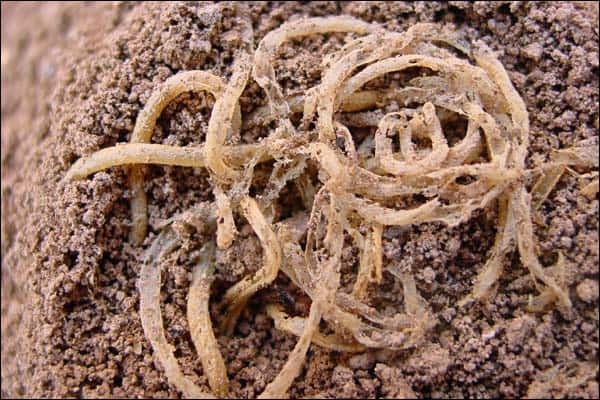 The 50 cm long, yellow strands noodle was predicted to be 4,000 years old. Prior to this period, the earliest noodle was a food during the Han Dynasty. There was a huge controversy whether the Arabs, Italians or Chinese invented it first. 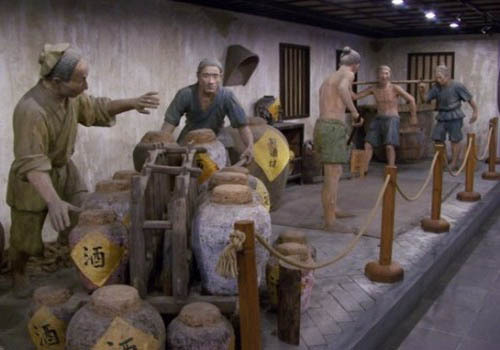 The consumption of the beer was started in ancient China around 9,000 years ago from the period of Neolithic people. They used rice, hawthorn, honey, and grapes to create the beer. 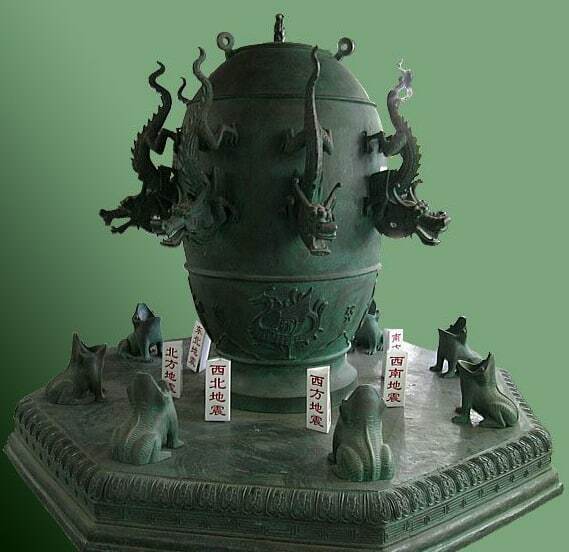 The 4% to 5% alcoholic content beer was extremely popular during Yi Di and Du Kang of the Xia Dynasty .The various bronze vessels preserved from the Shang dynasty indicate that they consumed a warm alcohol. During Paleolithic period, the Chinese had used bows and arrows, made of stone for fishing and farming. During the Neolithic period, the conflict started to emerge among different groups. The Chinese started to modify the tools that were used for farming and fishing to the deadliest war weapon for the battlefield. During Shang and Zhou periods, bronze melting was perfected to create different weapons, and tools for farming. An Iron Age began in Ancient China during the Zhou dynasty (1050 BC－256 BC). Iron was heavily used for creating war weapons, farming tools, and household products. 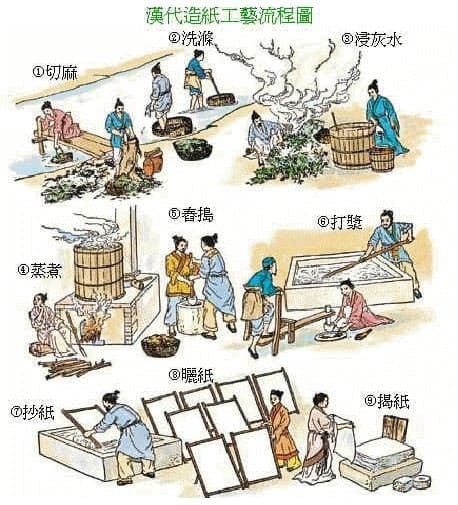 During the Han Dynasty (202 BC－220 AD), private iron making was abolished. The state start monopolized the iron smelting industry. Chinese has used different techniques for creating Iron and steel weaponry. Their innovative techniques lead to the rapid growth of the iron and steel industry in China. They invented various casting process like crude iron technique, cast iron technique, wrought iron technique, tempering technique, wrought steel technique that made them ahead of other civilization at that time. There was an archaeological evidence of wheelbarrows in ancient China from Han Dynasty, Hui’s tomb murals and brick tomb reliefs. 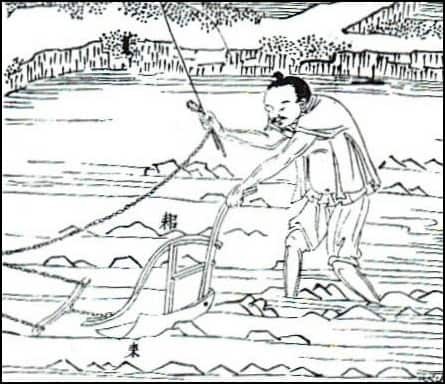 However, the invention of wheelbarrow was credited to Prime Minister Zhuge Liang (181–234 AD) of Shu Han from 197–234. 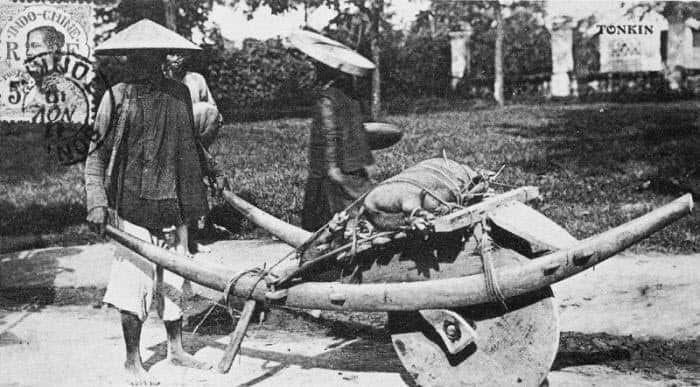 Liang created the wheelbarrow to carry the military weapons and to transfer injured and dead soldiers from the battlefield. There were two types of Wheelbarrow that were common: Front wheeled wheelbarrows and centrally mounted the wheel. The Centrally mounted wheel didn’t require a huge amount of energy to pull the wheelbarrow, the total weight was distributed equally between the wheels and pullers that made it convenient to use. The wheelbarrows were used heavily by the builder, soldiers, traders, farmers. In 132 AD, Zhang Heng (78–139 AD) of Han Dynasty invented the first Seismograph called Houfeng Didong to measure the movements of Earth and seasonal winds. The seismograph was urn like an instrument, made of copper with a central pendulum. The eight dragons on the surface with each one holding the copper in its mouth points out to the eight different directions – (“east, south, west, north, southeast, northeast, southwest, and northwest”). When there was the earthquake, the closest dragon’s mouth from the earthquake direction opened and the ball dropped into the mouth of the frog. When there was the earthquake, the closest dragon’s mouth from the earthquake’s direction released the ball and fall on the toad producing the sound. It lets people know the direction of an earthquake. Great Wall of China is one of the rigorous attempt by the mankind in the entire history. The Great Wall of China was built by the first emperor of china, Qin Shi Huang (260–210 BC) to protect from northern invaders. The glutinous rice flour was used as a binding material to bind the bricks. The 5500 miles length walls were built by the slaves, criminals, and peasants. It is estimated that more than millions of people worked to build the Great wall over 1000 years. 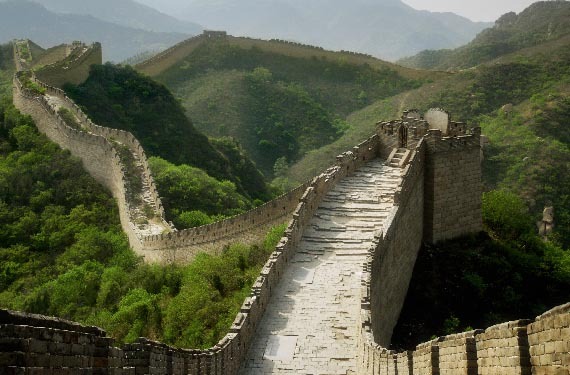 Most of the great walls that we see today were built in the Ming Dynasty period. 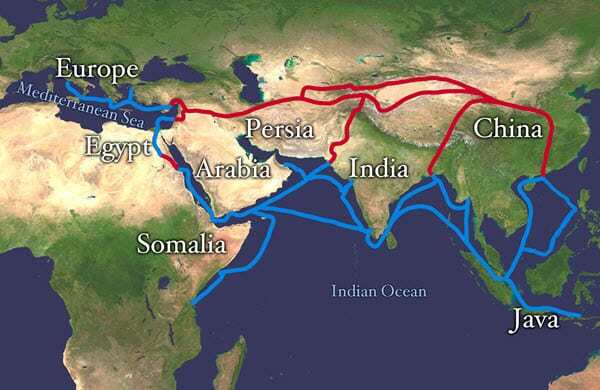 Silk Road was an ancient trade route used by different merchants, traders, urban dwellers that linked Asia Continent and Mediterranean seas during various periods of time. The history of the Silk Road was predated from the Han Dynasty (207 BCE – 220 CE). The name “Silk road” came into existences from a lucrative silk industry that was exported all the world. With 6,400 miles Silk Road was considered as one of the major development in the Chinese history that makes china prosperous. Ancient Chinese inventions revolutionize many industries that we take it for granted today. Without paper, there wouldn’t be books that we read today. Without a compass, traveling might have been a ghost story. Without printing, there won’t be an availability of books on a large scale or a money. Perhaps, the world wouldn’t be like the present. The Chinese invented lots of other things in the medieval period. All the inventions in the above list were from ancient china. However, there are few other things that shouldn’t be missed. Although these things weren’t invented in the ancient period, it carried a significant importance to the modern world. The first chemical explosive known as a Gunpowder or black power is sulfur, charcoal, and potassium nitrate (saltpeter). Gunpowder wasn’t the sudden inventions. Chinese had used Saltpeter since mid-1st century AD in various medical treatments. 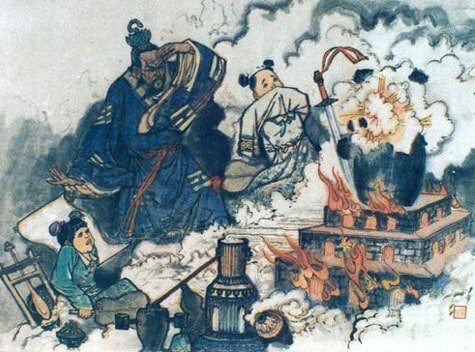 The Gunpowder was invented during the Tang Dynasty in the 9th century. However, the earliest recorded formula was discovered during the Song Dynasty in the 11th century. The Chinese had used gunpowder and gunpowder-based weapon widely by the military force to prevent the invasion. The major revolution in the history of printing came after an invention of movable clay type printing by Bi Sheng (990–1051 during the Northern Song Dynasty (960－1127). The printing consist of the four stages: making the types, composing the text, printing and retrieving the movable types. Later, In 1298, it was re-invented by the Wang Zen, during Yuan dynasty. He produced the book Jingde County that was printed 100 copies with more than 30,000 wooden movable types. The book consists of more than 60,000 Chinese characters. A metal movable type printing was invented during the Jin (1115–1234) and Southern Song (1127–1279) in the 12th century. Mostly large bronze was used to print the money. “Movable-type printing” the picture show a board in Korean Hangul not in Chinese.